John Robie: Why did I take up stealing? 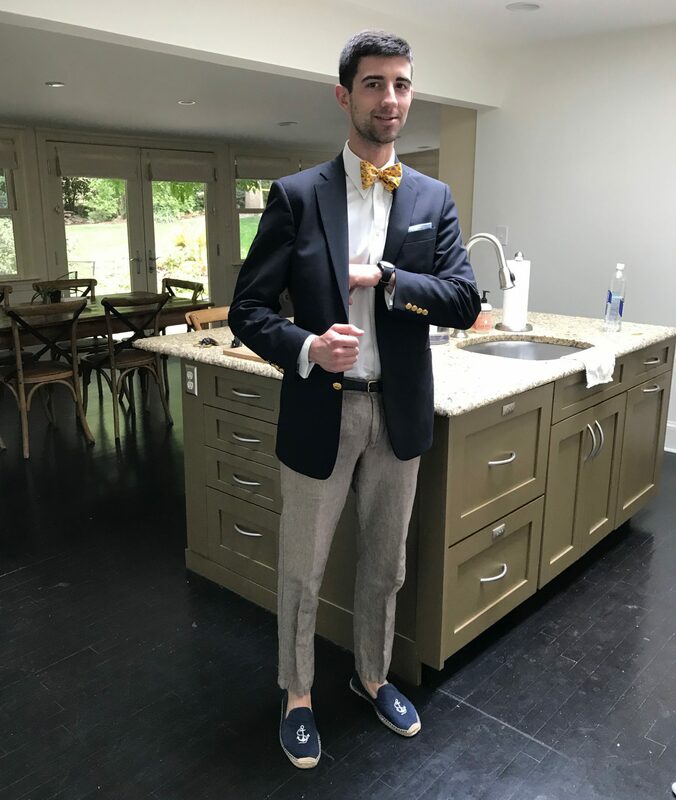 To live better, to own things I couldn’t afford, to acquire this good taste that you now enjoy and which I should be very reluctant to give up. H. H. Hughson: Then you are frankly dishonest. John Robie: I try to be. 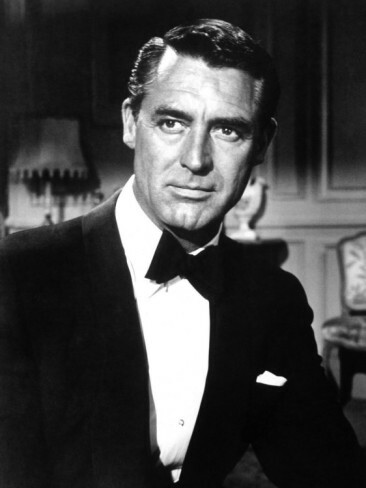 I’ve finally gotten around to reviewing the film that has provided the beautiful image that’s been gracing the top of The Written Reel’s homepage since its inception: To Catch a Thief (1955); another brilliant collaboration between Cary Grant and Alfred Hitchcock. It would be a sin however to ignore the lead actress, Grace Kelly, who fits in so perfectly with the beautiful scenery of the French Riviera. Kelly’s ability to be risqué and yet maintain an air of innocence about herself dovetails wonderfully with Grant’s charisma and social forwardness. The film revolves around the retired jewel thief, John Robie (Grant) known as “the cat”, who is falsely accused of a series of recent jewel heists that share similar characteristics to his old work. Robie spends the majority of the film attempting to clear his name. How does he go about this? Robie seeks a list of those who own the most expensive jewelry, where they keep it, and what their habits are. For this, he meets with H. H. Hughson (John Williams) who works for the insurance company and serves these clients. Robie tells Hughson that the only way he can help catch this thief is to have this list so he can figure out the thief’s moves before he makes them. It’s a rather risky proposition, and one which Hughson accepts somewhat skeptically (can you blame him?). As one of the top clients, Jessie Stevens (Jessie Royce Landis) and her daughter Frances (Kelly), eventually find themselves in the company of Robie who pretends to be a lumberman from Oregon. Of course, Frances and Robie embark on a love endeavor of their own as he attempts to crack the code of the imposter burglar. Francis comes on strong to Robie (only in the movies, huh?) through a series of forward and heavily suggestive interactions. The two go on a drive along the scenic French Riviera countryside to look at villas and eventually find themselves sharing passes over a picnic. French Riviera. There, now I’ve said it three times. The scenery in the film is spectacular, which certainly helped to earn the film’s Oscar® for Best Cinematography (also nominated for Costume Design and Art Direction/Set Decoration). You really get a feel for the topography (and for some, the nausea associated with it) in the drive scene that is a combination of sightseeing and police evasion. Sure, many of the scenes were done on sets, but on the other hand, many of them were done on location (I prefer to think there are more of the latter). Wardrobe. There, now I said that twice (ok, not quite enough to be repetitive, but play along). 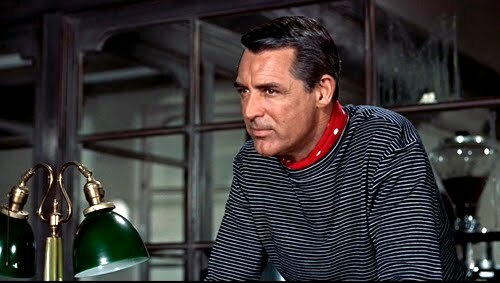 While I share a great appreciation for Cary Grant’s sartorial contributions to the film, there are many other noteworthy examples. Grace Kelly was known for her style as well, and she certainly doesn’t disappoint here. 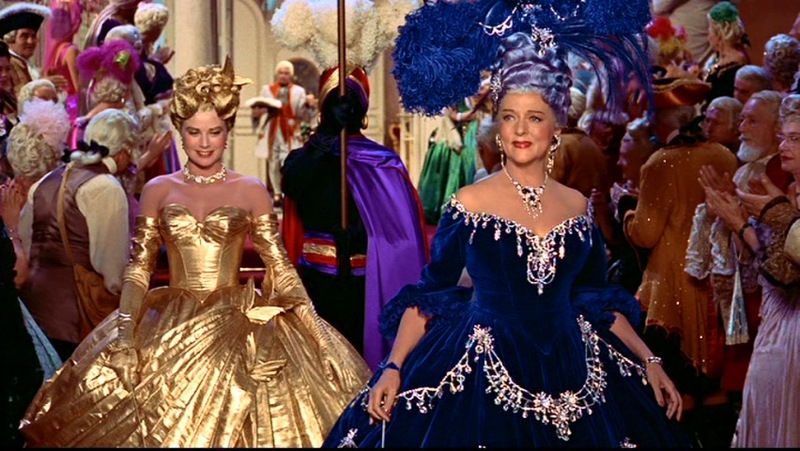 Probably the film’s best display of costumes comes at none other than the costume ball (where else?)! 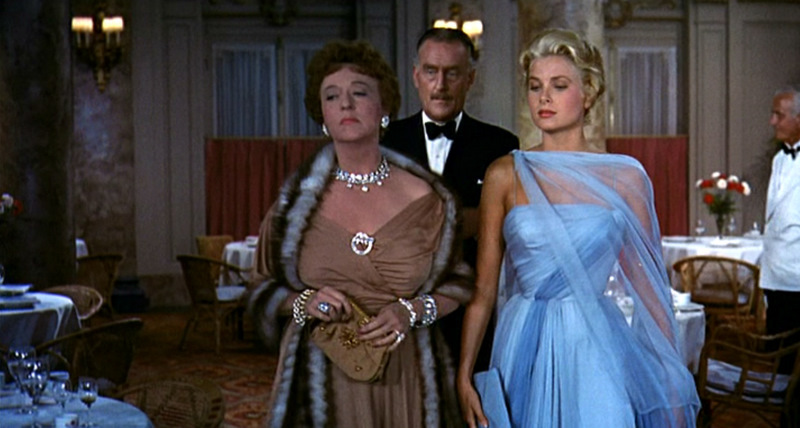 To Catch A Thief joins the ranks as one of the films I have watched countless times. In fact, I once watched it in 3X fast forward to relive all of the moments in about 5 or 6 minutes (strange, I’ll admit). I turn to this film when I want to pretend, even for an hour and forty-six minutes, that I am a wealthy, upper-class jewel thief who is chased by a young, blonde, beautiful woman who looks a lot like Grace Kelly.